I came across copper wheel glass engraving in my second year at Edinburgh College of Art when I first went into the glass department. When I tried the process it was love at first sight so it didn’t take me long to decide that this was for me. There is no doubt though, that Helen Munro Turner who was the teacher then, also had a huge influence in making my choice. She was an inspring if not very methodical teacher and had a gift for coaxing the best out of her students. There really wasn’t any other choice for me. 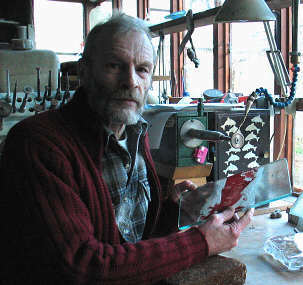 I engraved the first Mastermind Trophy in 1971 after joining Caithness Glass in December 1970. I had always loved engraving the human figure which was a bit strange as I had a love-hate relationship with life drawing at Art College. Looking back I think it was not until I could see a use for all that drawing that things changed. I did realise the value of life drawing but sometimes I found it a drag, (shame on me!) The Mastermind design is all about the human figure as Bill Wright (the originator of the programme) had decided right at the beginning that the title should be the “Nine Muses” A use for all that life drawing if ever there was one!!!!!!!!!! 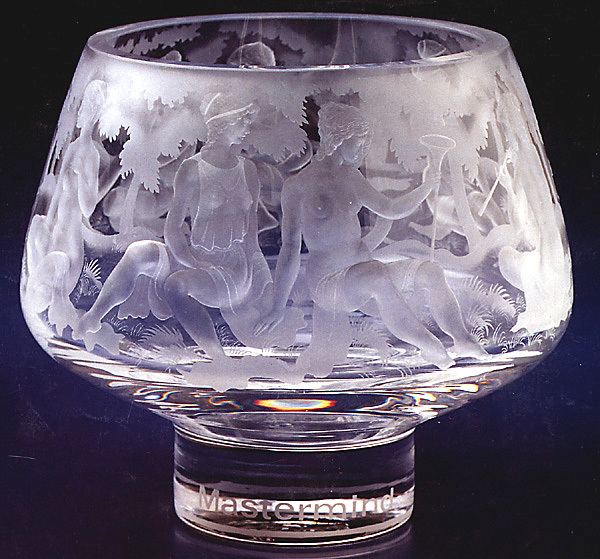 Caithness Glass went bankrupt in the nineteen nineties but before that happened CG and I had parted company and from then on I have worked for myself. The Mastermind programme was axed just about the same time but Discovery Channel picked it up and I was asked to engrave the trophy. Then, guess what , The BBC took up the programme again so it was almost a case of the trophy making following me. The characteristic shape of the”Mastermind” bowl I designed in 1971 with the idea that it would have a large surface to engrave on, the very first use was for the Mastermind Trophy. My other work for exhibitions you can find on my website.